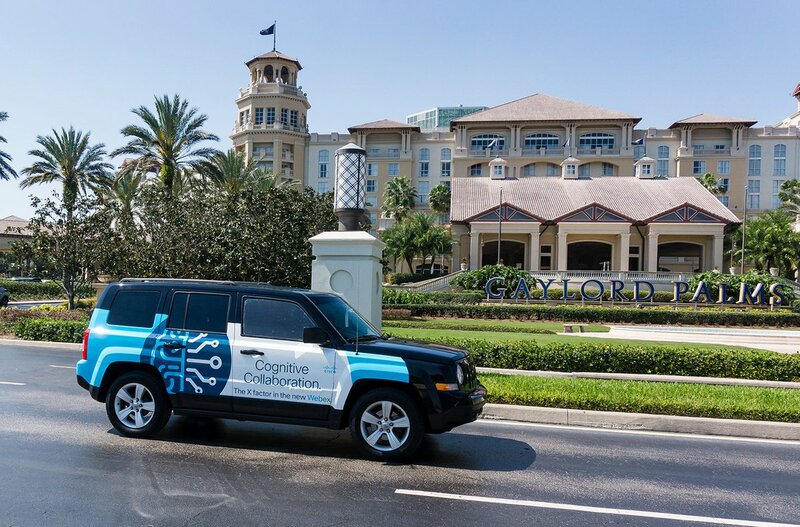 Look for ESET’s Wrapped “Cash Car” During Cyber Security Awareness Month! Wrapify is stoked to be part of ESET’s October “Cyber Security Awareness Month” promotion, and not only because it’s gratifying to see a digitally savvy-and-centric company using Wrapify’s revolutionary out-of-home platform to market its message. ESET develops industry-leading IT security software and services for businesses and consumers worldwide. But as much as you may think people are aware of fakes, frauds, phonies and criminals online, ESET has shown us that people still don’t know it enough. So, the San Diego IT security firm is putting eight wrapped ESET/National Cyber Security Awareness month-branded vehicles on the city’s roads and freeways for fall–but wait, there’s more! One of the eight Wrapify-wrapped vehicles will be a designated “Cybersecurity Cash Car”; the car and its Cybersecurity Awareness Team will park in various places around the city in October, giving cash cards to people that correctly answer cyber-related questions. Anyone passing by the designated Cybersecurity Cash Car can play, and has a chance to win hundreds of dollars. All the wrapped cars sport a URL, eset.com/cybersecurity, which is a page that contains free cybersecurity tools and resources for businesses and individuals, including ESET’s popular free Cybersecurity Awareness Training. Wrapify is always jazzed when digital companies use our ad-tech platform to market themselves, and we salute ESET for using their advertising budget to raise awareness of an ongoing and important digital issue as much as their business.